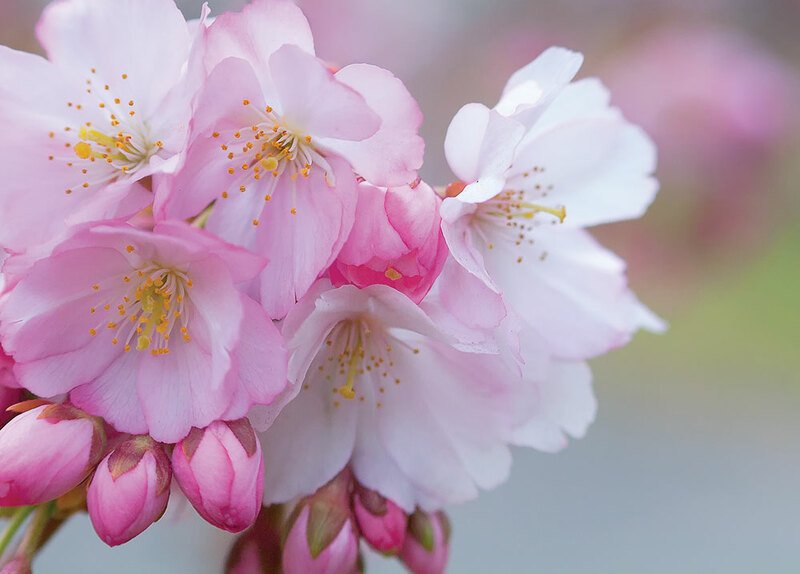 CHERRY BLOSSOM TREES are one of my all-time favorite photographic subjects! In fact, I have over 5000 photos of cherry blossom trees shot at the Essex County Cherry Blossom Festival held yearly in Branch Brook Park, Newark, New Jersey over a period of ten years. 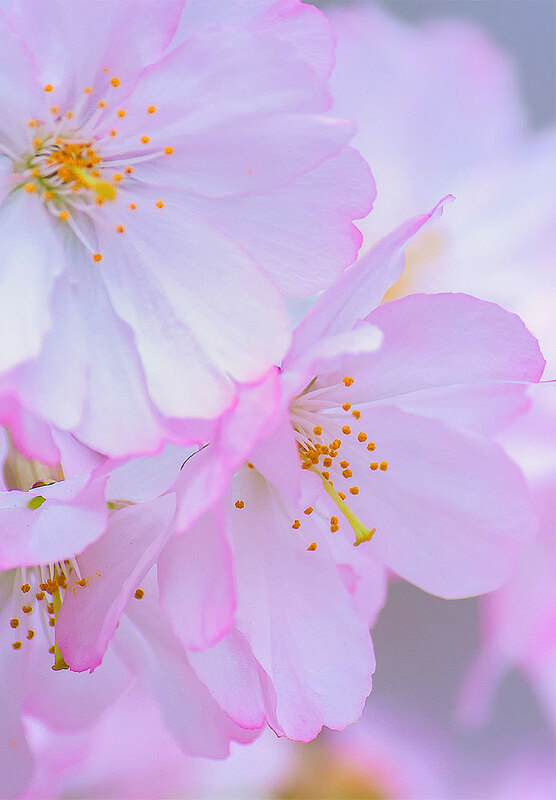 This Cherry Blossom Wallpaper is among my favorites. 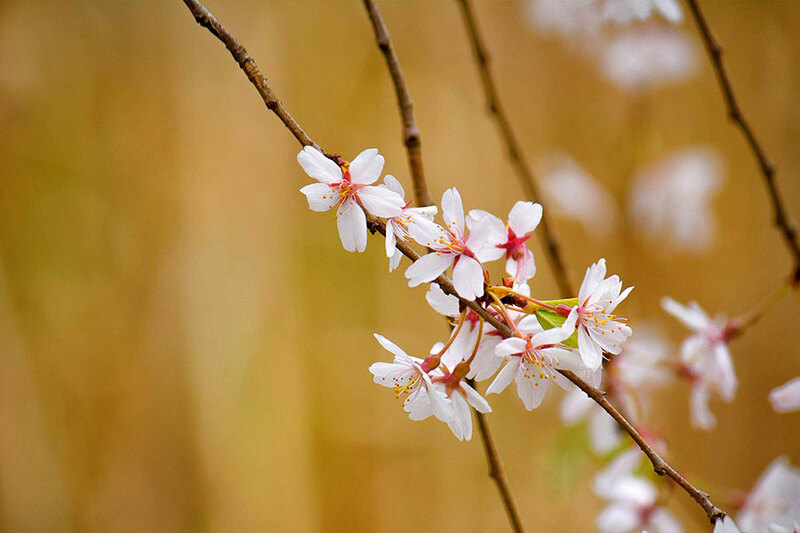 This photo shows one of the strategies I use to add background interest to my cherry blossom photography. I select a background that add a complimentary color to the photo. 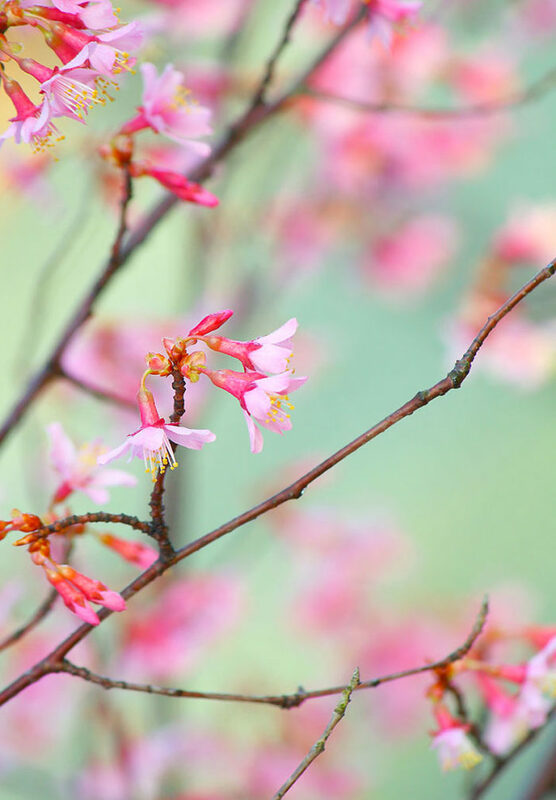 In this case the background color is a combination of fully blurred cherry blossom branches and the blue sky. 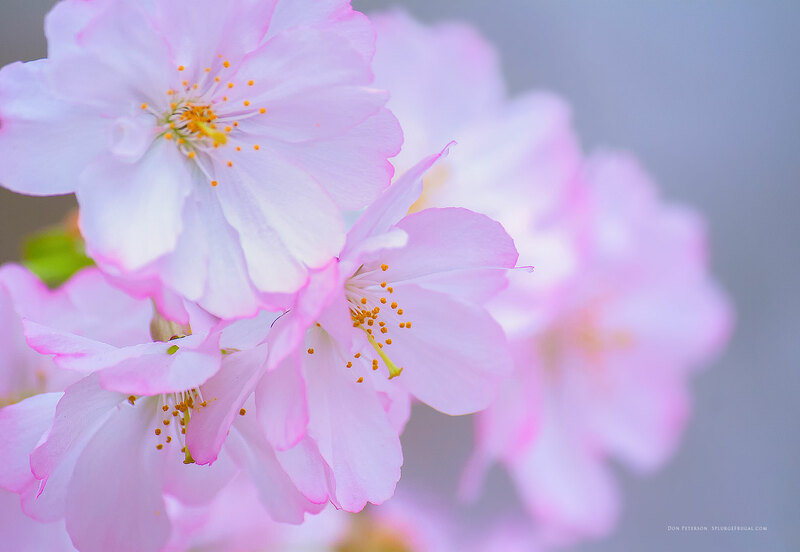 I blurred the background fully by focusing close to the cherry blossom branches while using the widest aperture on my telephoto lens. 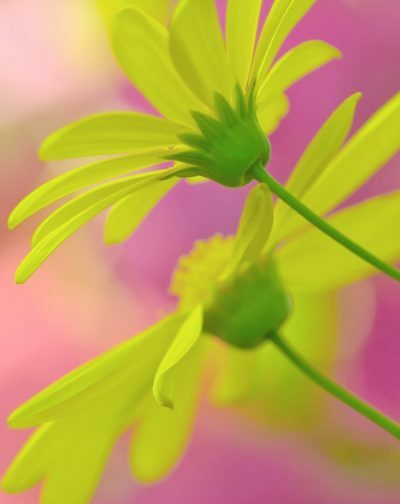 I shot this image with a Canon EF-S 55-250mm F:4-F:5.6 lens at the F:4 setting and the closest focusing distance. 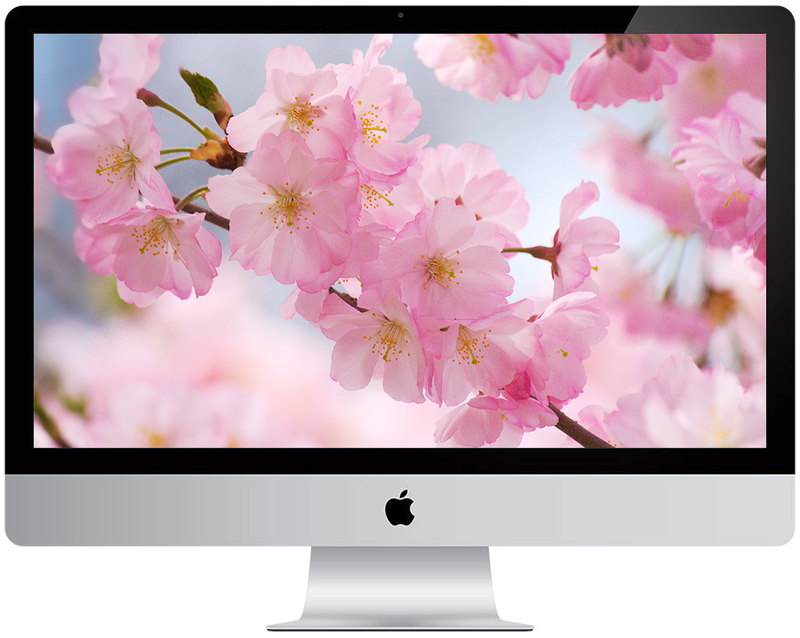 Free cherry blossom wallpapers from the Essex County Cherry Blossom Festival in Newark, NJ. By the way, most of my cherry blossom photos are shot with this lens on Canon DSLR cameras. This lens was discontinued recently by Canon, but you can still find it new on eBay for under $150.00. I highly recommend it you are looking for an inexpensive telephoto zoom lens for a Canon DSLR body. 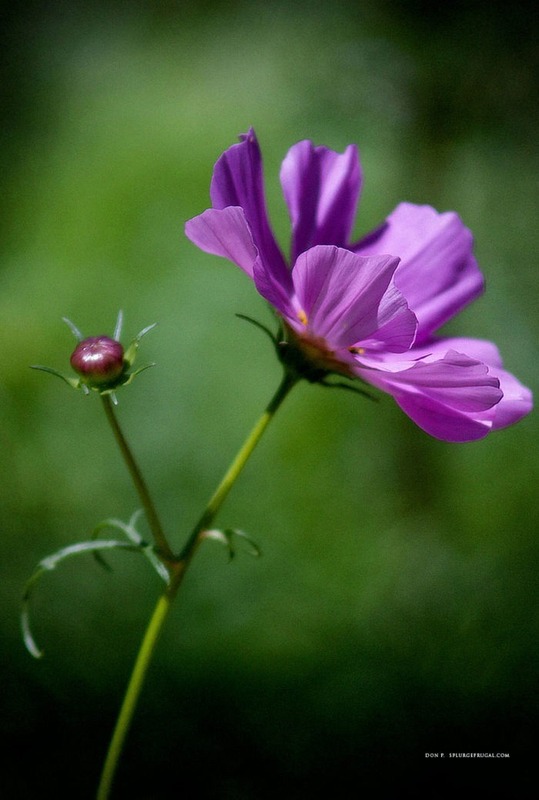 It has excellent sharpness and can produce smooth background blur when properly focused. I have created a version of this image that is perfect as a wallpaper for computer monitors. 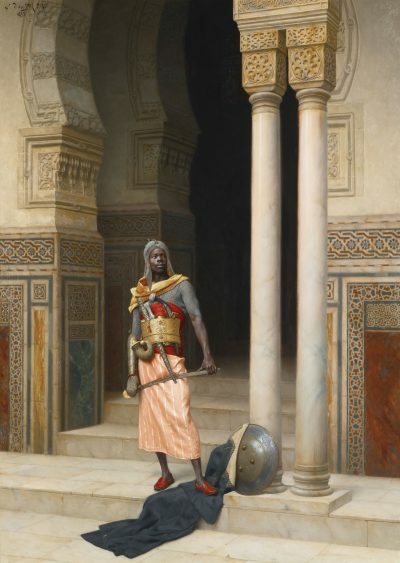 It is free for personal and creative use under the Creative Commons license linked below. 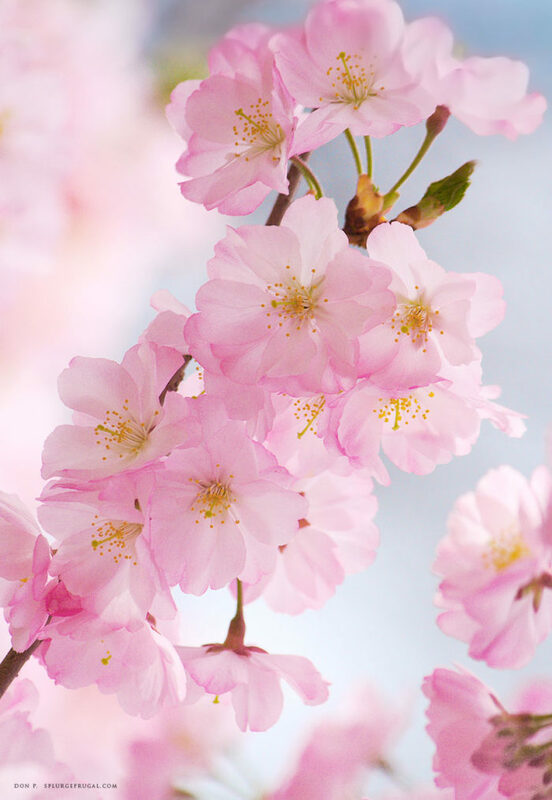 Click on the download button below to obtain this Cherry Blossom Wallpaper image. 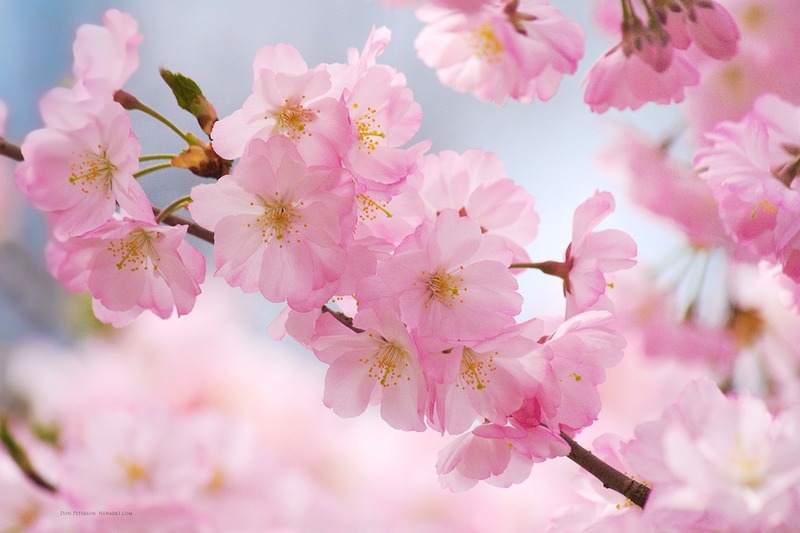 And, if you can, be sure to visit Branch Brook Park to see the cherry blossoms come April! Enjoy! 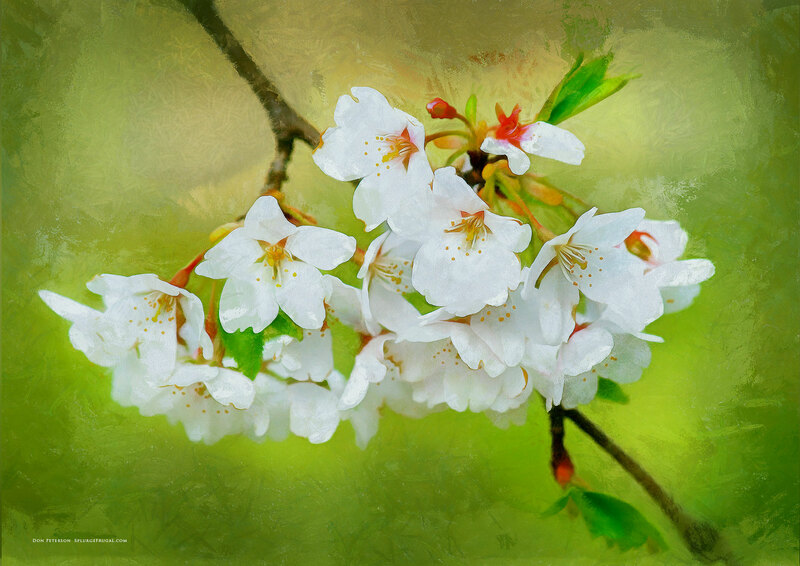 This cherry blossom wallpaper has been given a painters brush effect! 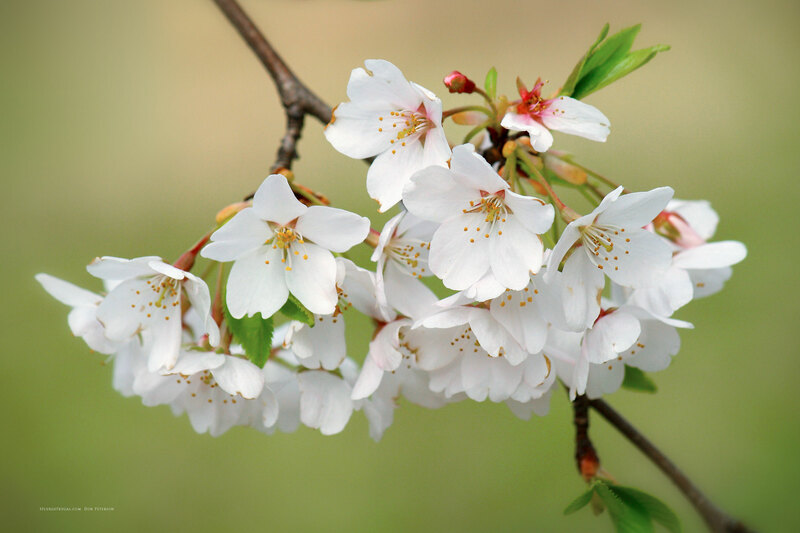 Lovely pink & white cherry blossoms. Branch Brook Park, Newark, NJ. 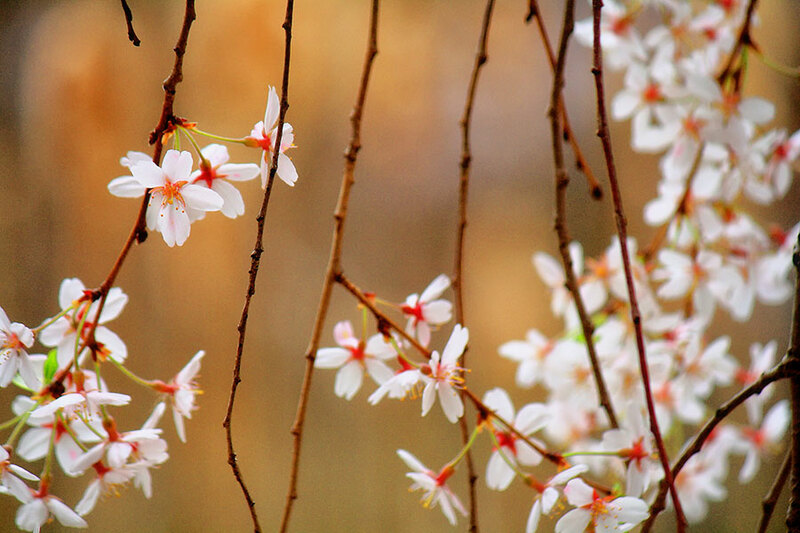 Lovely cherry blossoms in afternoon glow. Branch Brook Park, Newark, NJ. Cherry blossoms in golden light. Branch Brook Park, Newark, NJ. Is That Bundled Camera Kit a Good Deal?